Muvi has been nominated for the newly introduced TVB Everywhere Awards in the ‘TV Anywhere Solutions: VoD/Catch Up And Mobile TV Provision’ category for the partnership in launching ‘Zero CapEx’ streaming platforms and apps for leading media production and distribution agencies. After launching MAA TV’s VOD service MaaFlix, Muvi hasn’t looked back at all. Recently, streaming services for ISKCON, FabReel, Chitagade and HTVFun were launched. 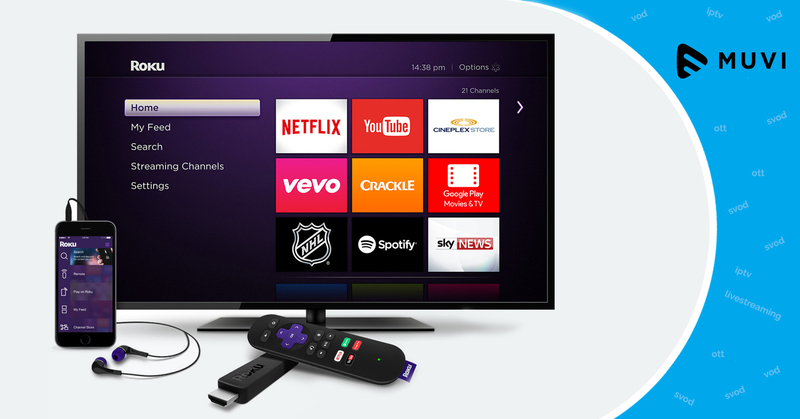 Not just streaming platforms but apps for Roku, Chromecast, Android & iOS devices and even Smart TVs. This new feature in the Muvi solution now allows customers to launch their own app in a week within of launching the platform, providing a lightning fast TAT and saving big on P&A expenses. New to this year’s TVBAwards, the TVB Everywhere category pays homage to some of the cutting edge systems being used in programming and content provision across the industry. Winners will be announced on 22 October, 2015 at the spectacular Bloomsbury Ballroom in central London.